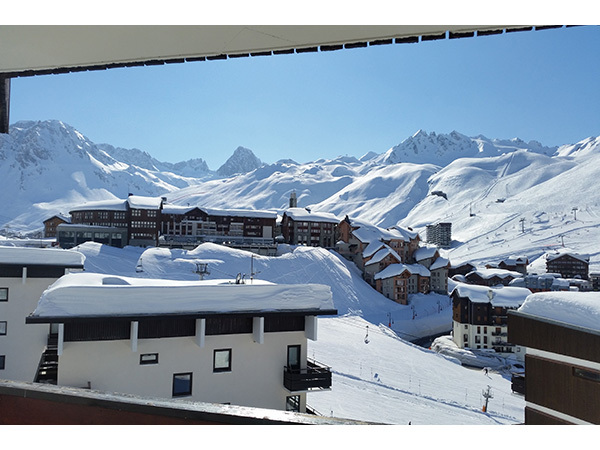 The Roches Rouges building is ideally located; a two minute walk from the bars and restaurants of Le Lavachet and five minutes from the amenities of Le Lac. 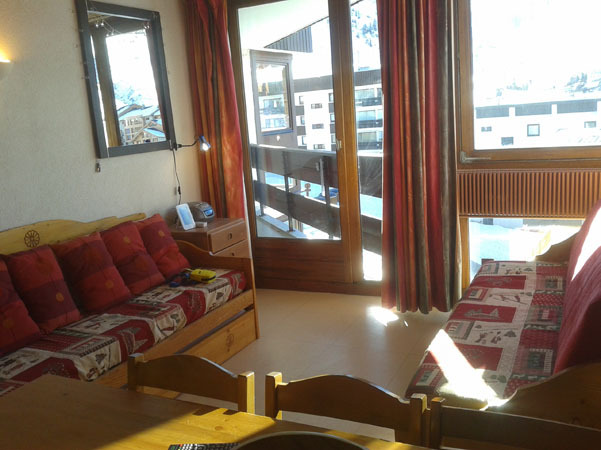 Access to the slopes could hardly be easier, just across the road and you’re there, a 30 second ski to the Lavachet lifts of Le Paquis and Chaudannes. 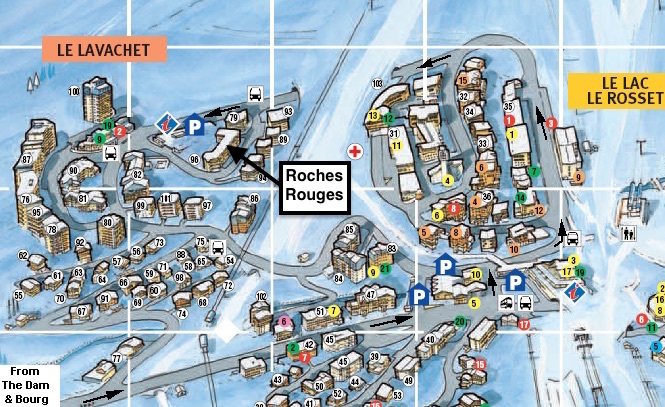 These lifts allow access to all ski areas around Tignes. If you’re aiming to start from elsewhere the building is also perfectly placed on the free 24hr bus route. 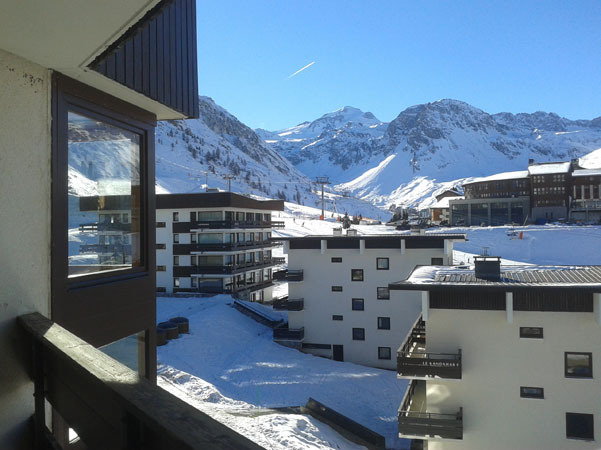 The apartment has a large balcony facing south & west with stunning views of the Grande Motte. 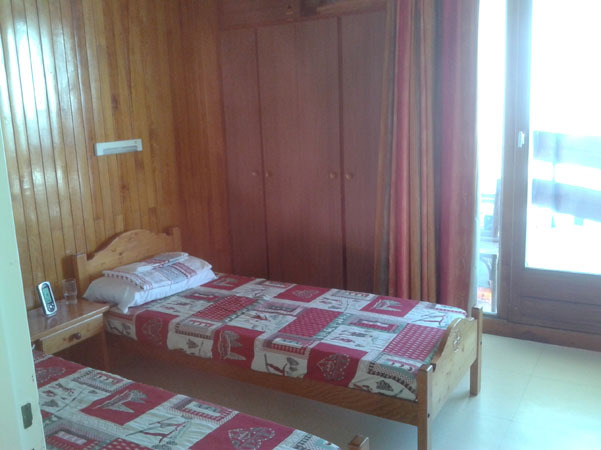 32 Roches Rouges has a separate bedroom with 2 single beds, TV, Radio, CD and its own door on to balcony. 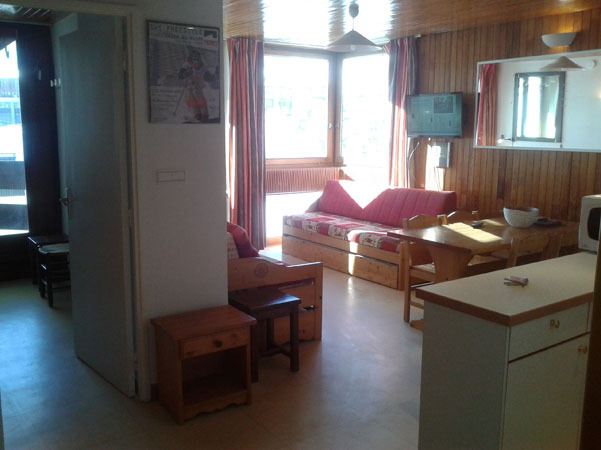 It has 2 sofa beds in lounge, one can be made into a double or 2 singles and the other is a single. Bathroom has a shower and a separate toilet. 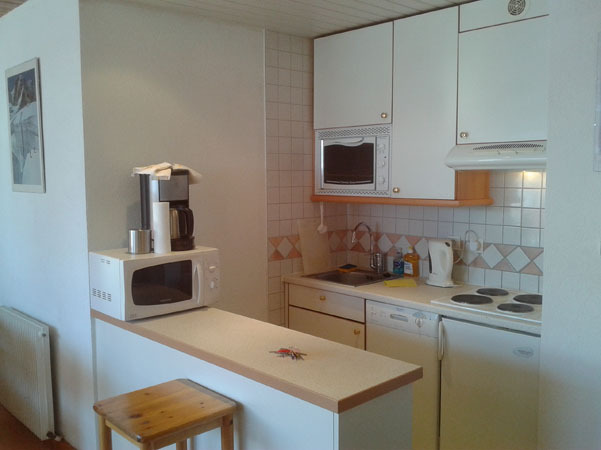 There are 4 hobs, dishwasher, fridge, oven, microwave, kettle, coffee maker, toaster, etc. The apartment is on the 2nd floor, which is the top floor. A 25% deposit is required to secure a booking and then the balance payment is due 6 weeks before arrival. Deposit payments can be made by Debit or Credit card. There is no charge for using cards. If you are ready to book enter the date you require and click the "Book Now" button. Disclaimer: It is our intension that the Web site is accurate however we cannot be held responsible for errors found on the Web site.